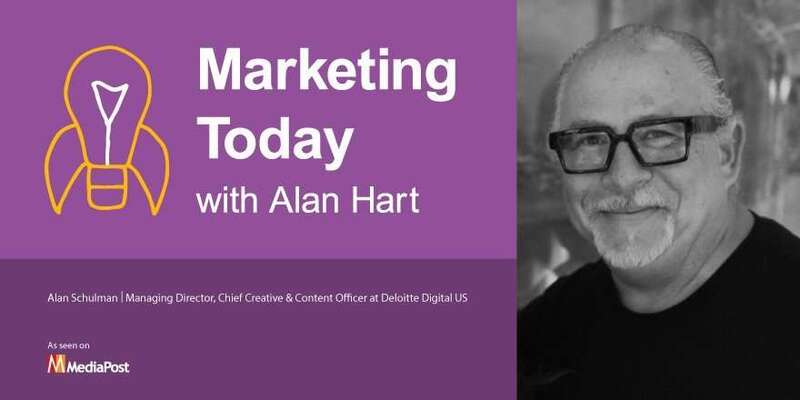 At the Adobe Summit, Alan sat down with Alan Schulman, managing director and chief creative officer at Deloitte Digital US. Schulman discusses Deloitte Digital’s scope of capabilities and offerings: everything from a customer strategy and applied design capability to help clients imagine products and services they don’t have but might need to designing and prototype building to its advertising and e-commerce offerings. In the course of their conversation, Schulman talked about the modern relationship between CMOs and CIOs (“The way you run marketing versus the way you engage the customer is really a team sport.”); the dawning of the age of AI; how being a jazz musician has informed his career as a creative leader; and the velocity of technological change and its impact on culture, content, and creativity.